The Links at Spanish Bay Summary: Not enough can be said about the wonderful golfing experience that is The Links at Spanish Bay. 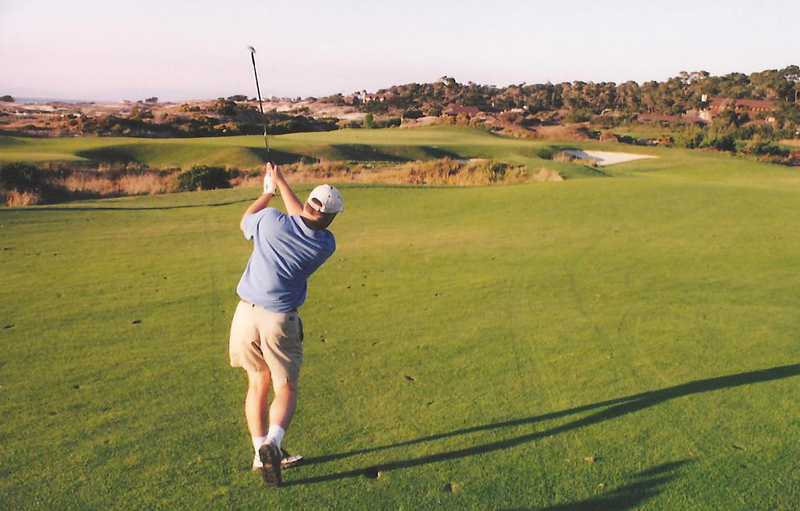 This links style golf course weaves its way through the dunes of the Monterey peninsula on the front side, while taking a brief side trip through the forest to start the back nine before plummeting back to the ocean to finish the round. 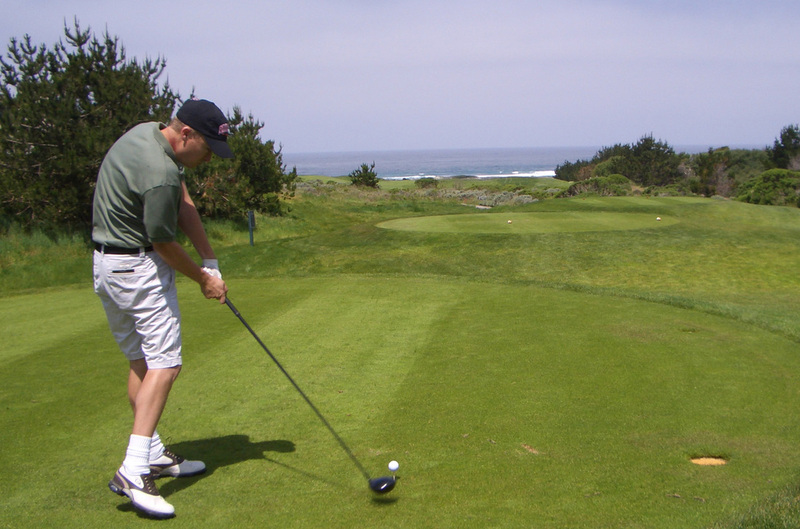 Views of the ocean are available on most holes and the course is in impeccable shape. Additionally, the greens are always tiered and closet to the most difficult to putt anywhere in the world. A thoroughly enjoyable round with some of the best efforts described below. Spanish Bay Hole 1: A great way to start the round, this short par 5 allows the golfer to gain some confidence if played correctly. The fairway is downhill and wide and a good drive allows the option for going for the green in two. However, this is a dangerous proposition as a hazard pinches in on the right side about 70 yards from the green and anything hit in there is not retrievable. The conservative play will leave a short iron to a green that is vividly backed by the Pacific Ocean on this inspiring opening hole. Spanish Bay Hole 2: An extremely tiny fairway greets the drive on this short par 4. If the iron tee shot can be mastered, only a short iron will be left to the uphill green that is defended by a huge bunker short left and hazard and hills on all the other sides. The green is the first of many multi-tiered affairs. Not hitting near the pin kills any chance of birdie and makes par a good score. Spanish Bay Hole 3: This dogleg left features a fantastically beautiful drive with the Pacific Ocean as a perfect backdrop. The well-placed drive over the corner bunkers will leave a relatively short and easy approach to green. Spanish Bay Hole 4: This is a mid-length par three with a deep bunker left and a deep, tiered green with a lot of contours that make chips from just about anywhere really tricky. Spanish Bay Hole 5: The fifth is a long, slightly downhill dogleg right par four with a series of bunkers along the way. The second shot is to a massive, redan style green with an unforgiving bunker short and left. The views of the ocean are customarily awesome as well. Spanish Bay Hole 7: A downhill tee shot presents the player with a very difficult choice on this 400+ hole. A marsh guards the entire left side of the hole from tee to green and also cuts across the fairway about 130 yards from the green. There are large fairway bunkers right and OB far right. Anything slightly askew will catch one of these hazards. However, the more conservative play will leave a long iron to the peninsula green where the only place to avoid the marsh is short, which leaves an impossible chip over the greenside bunker, on this truly great hole with wonderful views of the Ocean and peninsula. Spanish Bay Hole 8: This little par 3 offers a shot over a marsh to a shallow, but wide green complete with tiers and sand both short and long, where distance of the shot is a premium. Less than 20 paces from the 17th mile drive, the views of the ocean are great, but the mini-galleries can be nerve-racking. 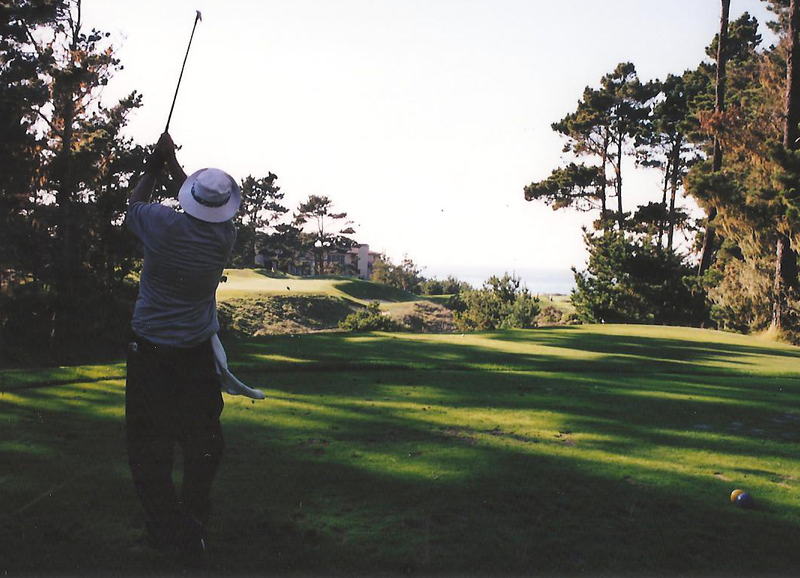 Spanish Bay Hole 10: The first of the forested holes is this par five with an interesting drive. At only 520 yards, the layup to the visible fairway is the safest option, but the golfer can try to hit driver over the bushes and tree line to leave a shot at hitting the green in two. However, if pushed, the ball will most likely be lost in the heavy trees and if pulled, it might clear the left side of the split fairway and find deep bunkers or worse. The green is very wide, has several putting levels and wraps around a huge bunker in front. Spanish Bay Hole 12 (right): The best of the forest holes, this long par 4 must have a perfect drive to be able to reach the green. A barranca separates the fairway from the green complex and huge trees will gobble up any shot pulled or pushed and dump them in the hazard. The green is relatively shallow, but one of the most friendly on the course, if it can be hit. Anything that missed, however, is dead. 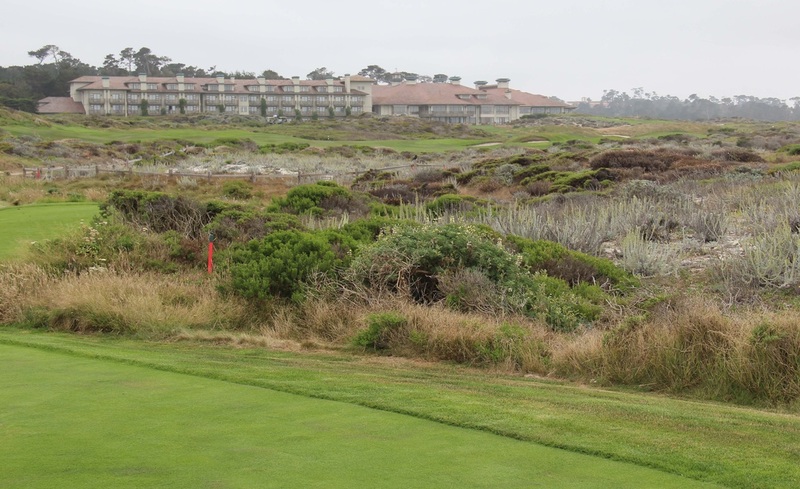 Spanish Bay Hole 13 (below): The shortest hole on the course is very penal for those that don't master the short iron in to the long and narrow green. Anything short and right will find, at best a nasty, hilly lie, and that's if the ball is found. Long is a little better, but not great, and the bunker left will leave a touchy up and down. Spanish Bay Hole 14: Visually stunning, this long par 5 rolls down to the Pacific Ocean with the green no more than 50 yards from the beach. A three shot hole for sure, a hazard runs all the way down the right, but is avoidable since the fairway is very wide. Enormous bunkers split the fairway about 100 yards out and force the golfer to flirt with the rough, lay up or fly them to be avoided. The green runs away from the golfer but is one of the largest and most puttable on the course. Spanish Bay Hole 15: Target golf at its best, and the sister hole to the longer and more difficult 17. The drive must hit the ribbon of fairway surrounded by hazard. After this, the iron must be carried to the green perched along a hillside where right and long are in the hazard and left forced a downhill chip to a green running away from the golfer. The ocean isn’t far off and dunes surrounding the hole are beautiful. 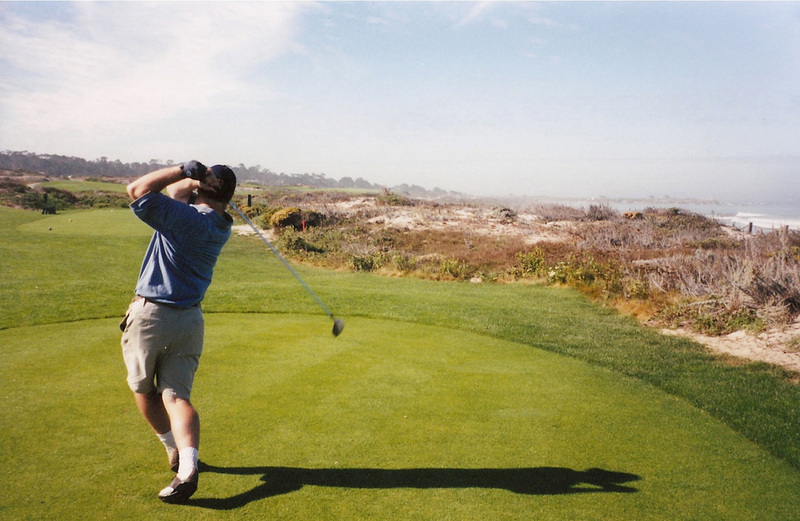 Spanish Bay Hole 17: A brutal test of target golf, set amidst the Shangri-La of golf settings. However, one wrong move with any shot and this heavenly hole will yield a hellish score and can ruin a good round. Spanish Bay Hole 18: The last hole of the day has a boring last drive, which is good if you need to score well, I suppose. After that, the second shot is pretty easy as the only trouble is left. The final shot of the day then must clear the hazard to another large green. 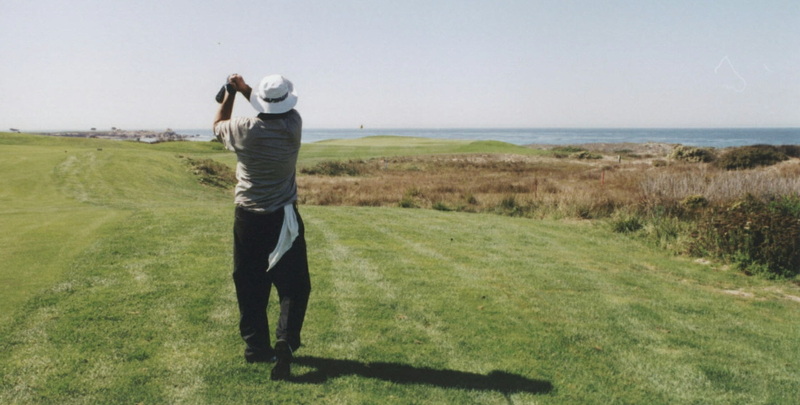 Distance control is a must because long is just as bad as short.